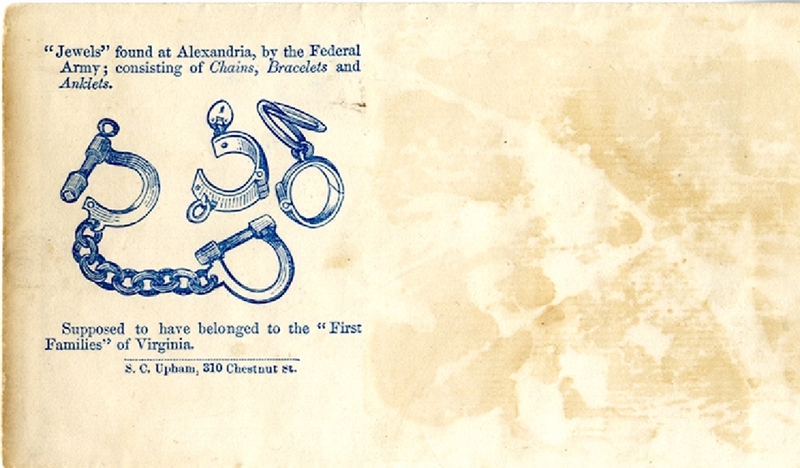 Patriotic cover of slave shackles, labeled as “Jewels” found at Alexandria by the Federal Army. By Upham. Very good condition.